I like trying new things and thus this is how I find myself getting involved in various projects and events. Which brings me to the Holly Jolly Craftmas hosted by Artsy Heartsy Events. 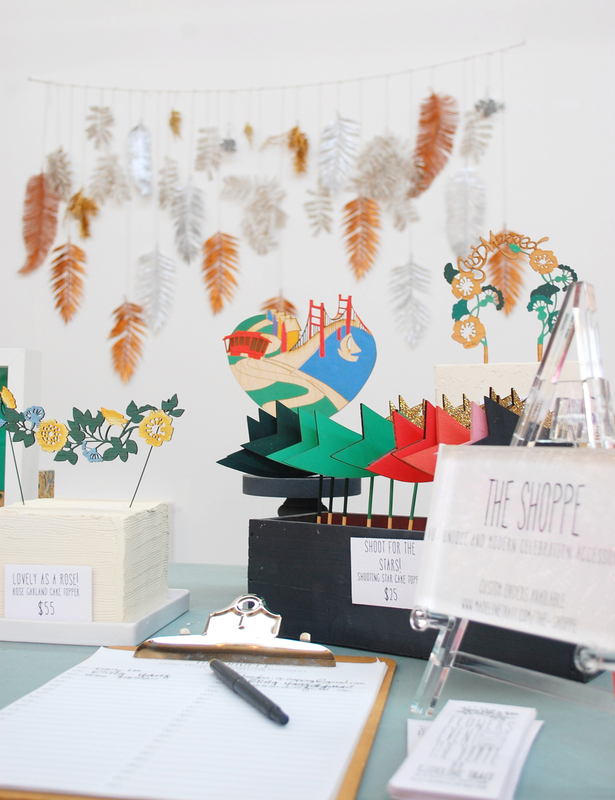 The concept was a one day pop up that brought event and crafty people together. This totally appeals to me because I do a bit of both with my event design service and then my celebration accessory product line that I am continually developing. (stay tuned for some new fun items in 2014) It was a great event where I was able to meet talented makers, beauticians, artists and event professionals. I look forward to see what develops for next year! Here are some photos of my set-up. I always like to use these events as an opportunity to experiment with decor as well as merchandising. The best part of this display was my sparkly leaf backdrop which I plan to expand on in the future or event do a DIY post on.